The last fully restored and flying PT-17 Stearman used by the Tuskegee Airmen. Two PT-17 Tuskegee Stearman aircraft remain. One is on static display in the Smithsonian, the other the Collings Foundation operates. 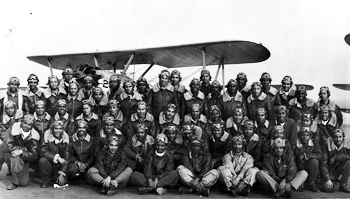 The Tuskegee Airmen were a group of African-Americans who served in the 447th bomber group and the 332nd Fighter Group of the United States Army Air Force during WWII. These young men included pilots, navigators, bombardiers, maintenance and support staff, instructors, and all the personnel who kept the planes in the air. They were named after the location where they trained, Tuskegee Airfield near Tuskegee, Alabama. pressure that resulted in the formation of the all African-American pursuit squadron. The Tuskegee Airmen overcame segregation and prejudice. They became one of the most highly respected fighter groups of World War II. 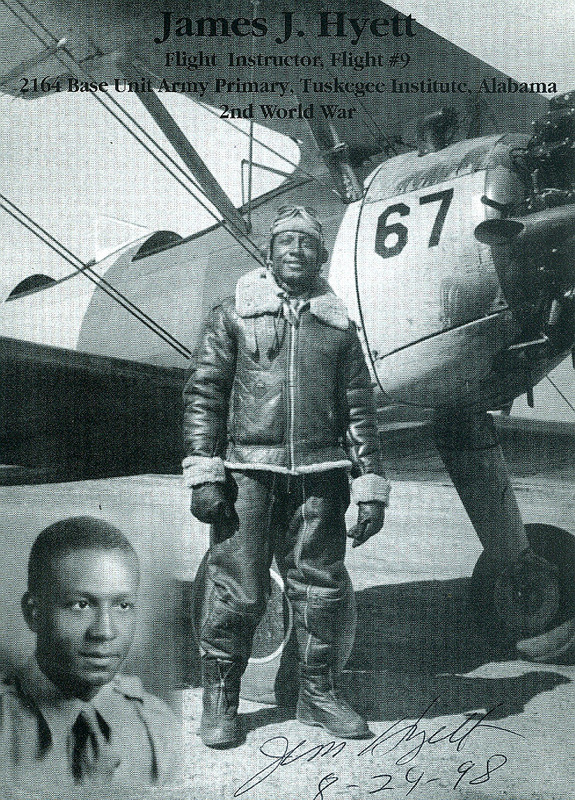 Most Tuskegee pilots first trained in PT-17 Stearman aircraft, also known as the Kaydet (PT stands for Primary Trainer). 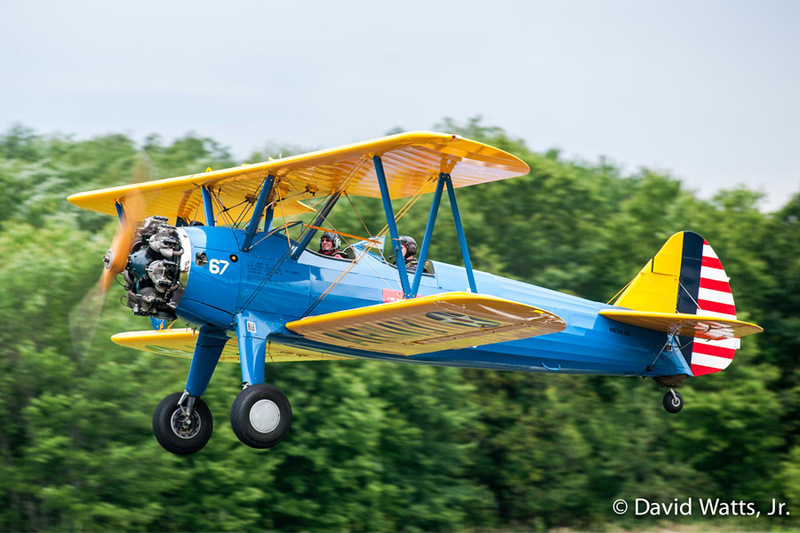 The Stearman is well known for its solid flying characteristics and rugged construction. Boeing built over 10,000 PT-17 Stearmans during the 1930s and 1940s. Thousands of pilots flew this plane first during WWII. 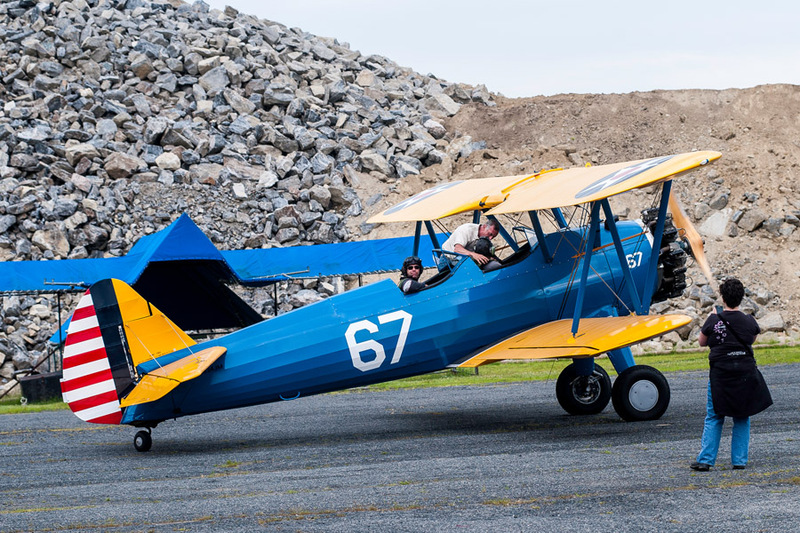 Recently, the Collings Foundation acquired one of two known remaining PT-17s used to train Tuskegee pilots. Our Stearman (s/n 41-25454) is currently in Massachusetts. The other is in the Smithsonian. Stearman 41-25454 has a well documented history. The U.S. Army accepted the aircraft from Boeing’s Wichita Division in 1942. It was transferred to Tuskegee Institute Field, Alabama in 1943. Tuskegee Flight Instructor James J. Hyett (see picture middle right) used this Stearman on several training flights. On June 2nd, 1943 cadet Kermit Bailer made a forced landing in the aircraft, causing some damage. 41-25454 was repaired with 666.7 flying hours and was transferred to State Teachers College in Murfressboro, Tennessee. (Bailer went on to be a prominent civil rights lawyer in the Kennedy and Johnson Administrations). 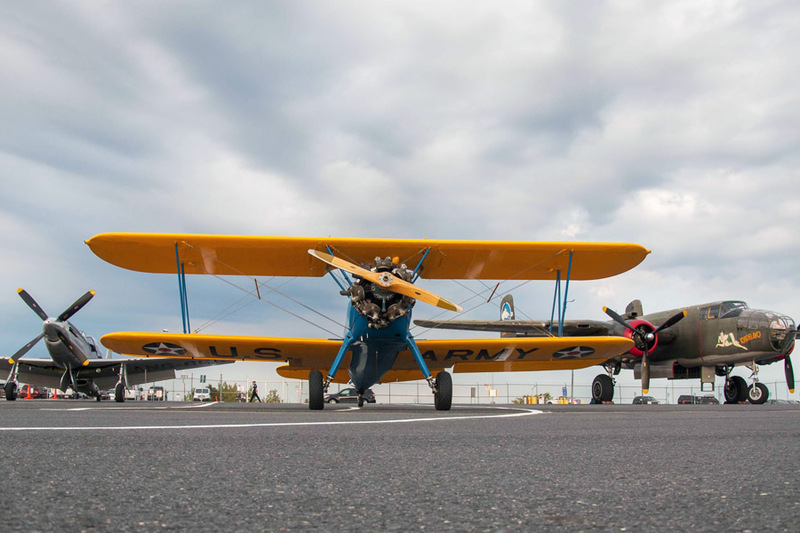 In November, 1944 this Stearman was sent to Bush Field, Augusta where it was stricken from U.S. Army records and moved to the Reconstruction Finance Corporation for sale. In 1995, 41-25454 was purchased by Joseph Armstrong. It went through a meticulous restoration bringing it back to “factory new” condition. The aircraft was kept at Bradford County Airport, Towanda, PA until it was transferred to the Collings Foundation in 2015. The Collings Foundation will continue to operate Stearman 41-25454 in honor of the Tuskegee Airmen. It flies as tribute to those who overcame racial discrimination and persevered against adversaries to become one of the greatest fighter pilot groups in United States history. The Tuskegee are credited with some 15,500 combat sorties and earned over 150 Distinguished Flying Crosses for their achievements during WWII.